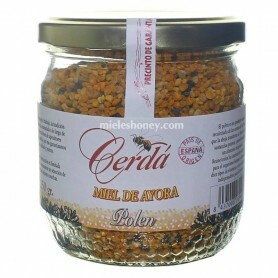 Sale of traditional pollen, with great nutritional properties among which are vitamins and minerals. Weight - Format 250 g.
Pollen from flowers or bees as it is commonly known. Benefits and properties of this hive food. A healthy product with great energy capacities.